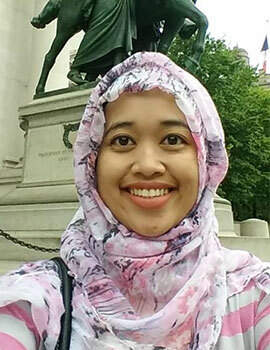 Ma'rifatul Amalia is a Senior Research Associate at J-PAL Southeast Asia. She worked on the Seasonal Migration study, Village Law, and she is currently working on the International Migration study. She received her master's of science in economics, specializing in public economics and development economics, from University of Illinois at Urbana-Champaign where she was awarded the Lembaga Pengelola Dana Pendidikan (LPDP) scholarship. Prior to joining J-PAL Southeast Asia in 2017, Amalia worked as research assistant at Advisory Team for Fiscal Decentralization in Kementerian Keuangan as part of the Republic of Indonesia's Ministry of Finance, as a research assistant at the Institute for Social and Economics Research (LPEM) of FEB University of Indonesia, and as a junior researcher at Institute for Development of Economics and Finance (INDEF), Jakarta. She also actively serves as Head of Social Affairs, Mata Garuda (LPDP Scholarship Alumni Association).